Set up your binder alphabetically. Keep your VFR Manual organized. Organize your VFR Manual by 29 countrywith this tab set. Four one-inch rings are attached to a sturdy poly backing, with a loose poly cover to protect the charts. Scoring on front and back covers allows you to flip charts completely around the rings and display the one you want on top. Compact, convenient, and practical. 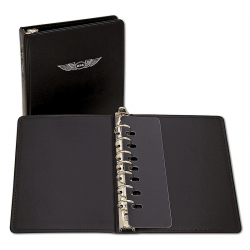 The Deluxe 7-Ring Binder 2,54 cm (1") is is made of richly-grained simulated leather with edge stitching. It's bound for maximum durability and equipped with a ring system that will keep your approach plates securely organized and easily accessible. Convenient size makes it easy to fit in almost any flight bag. 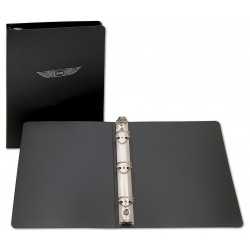 The Deluxe 7-Ring Binder 5,08 cm (2") is is made of richly-grained simulated leather with edge stitching. It's bound for maximum durability and equipped with a ring system that will keep your approach plates securely organized and easily accessible. Convenient size makes it easy to fit in almost any flight bag. 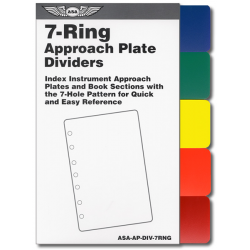 Save time looking through the 7-ring style approach plate book. Before each trip, use these dividers to tab the approaches you'll be executing. For quick reference of various sections of the 7-ring-style approach plate charts, these five distinctly-colored dividers extend out beyond the side of the charts. 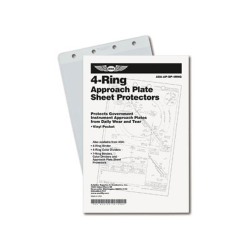 Punch holes to fit perfectly in your Jeppesen binders. Lightweight and durable. 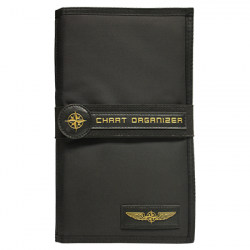 Chart wallets organize, hold, carry, and display aeronautical Sectional, WAC, and Low Altitude Enroute charts conveniently. 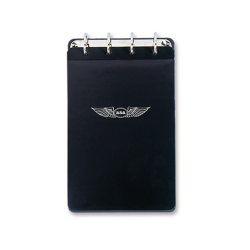 This style features a black vinyl cover, silver wings logo, and clear vinyl organizer pockets. 6 double-sided pockets hold 12 maps between the covers. Expandable binding range depending on how many charts are contained within the wallet. 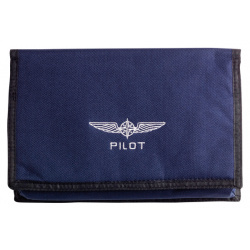 Durable nylon logbook cover holds and protects your master logbook, charts, and other aviation essentials. 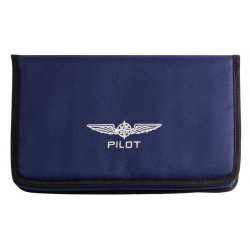 This durable nylon logbook cover is a great way to protect and store your logbook, as well as aeronautical charts and pilot credentials. The main compartment will hold logbooks up to 6-1/2" x 11", and is perfectly suited for ASA's Standard Pilot Master Log. 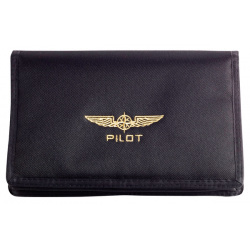 A second interior pocket provides a convenient place to hold aeronautical charts. Four clear vinyl pockets allow storage of pilot and medical certificates, credit cards and other smaller paper or plastic documents. Also on the inside is a loop to hold a pen or a pencil. The hook and loop closure system keeps contents secure. Will hold logbooks up to 16.5 cm x 28 cm. Everything can be perfectly and very securely stowed in this padded nylon document wallet. The interior has two elastic pen holders and three compartments, one of which is zipped. In addition there are two more business card pockets. Everything can be perfectly and safely stowed in this padded nylon document wallet. Inside are two elastic pen holders and three compartments, one of which is zipped.